Testing an offer is very simple and can determine if the offer you created works as intended! To test an offer, follow the simple steps below. In this article, we are going to test an upsell offer of a 50% discount for an item after purchasing two pieces of the same item. 1. Go to the offer that you want to test and click the Actions drop-down menu then choose Test. 2. Click See the upsell in action. 4. 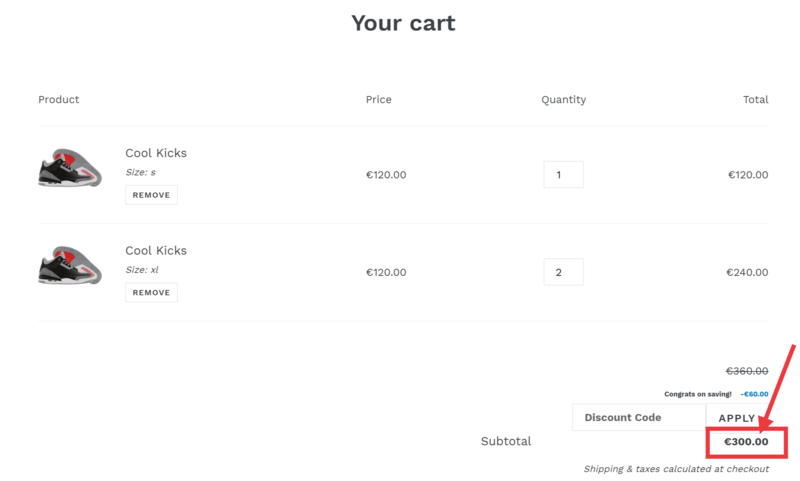 Check the amount on your cart to verify if the offer is applied. If you need more help, please click Contact Us below!